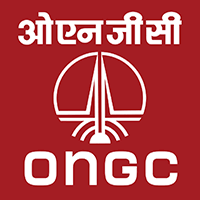 ONGC Gujarat Scorecard 2019– The Oil and Natural Gas Corporation will be soon releasing the ONGC Gujarat Result 2019 on their official website after carefully evaluating the ONGC Assistant Technician Exam papers. All the candidates who have written their exam will soon know their score secured when the organization releases the ONGC Scorecard 2019. The organization will later publish the ONGC Gujarat Merit List 2019 which will specify the names of all the applicants who have been selected for the recruitment. Furthermore, the official website where you can find the details of this result is www.ongcindia.com. Please stay tuned to this page for more information about this. Please note that this article is in context with the ONGC Recruitment 2019 conducted in Gujarat (Advt No: 01/2019 (R&P). The recruitment was conducted for the posts of Assistant Technician (Mechanical), Assistant Rigman (Drilling), Assistant Technician (Production), Assistant Technician (Boiler), Assistant GD.III (Transport), Assistant GD.III (Material Management), Security Supervisor, Jr., Jr.Assistant Technician (Fitting), Jr.Assistant Technician (Machining) and more posts. If you have applied for the recruitment, and have some doubts about this, go to the official ONGC Recruitment 2019. 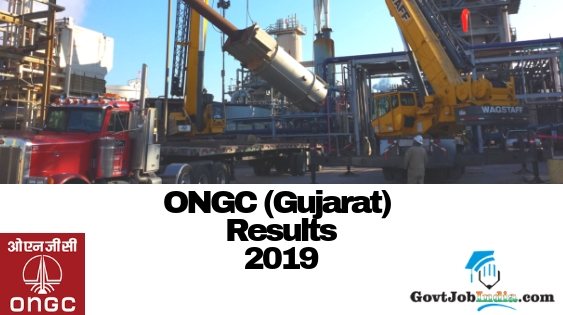 Now that you have accumulated the details of this article, let us now move onto the actual content of the ONGC Gujarat Results 2019. How to Check ONGC Gujarat AT Scorecard 2019 Online? When you are on the website, proceed to the Result section. You will find the ONGC Gujarat Assistant Technician Result as a newsflash there. In case you are unable to find it, search for it. A much easier way would be to just go to the link which we have given below. But please note that this will be available only after the result has been declared. Once you find the link, you need to verify and login into your account. You will have to do this by putting in your login details. After you are done entering your details, submit this information and your result will be on the screen. It is extremely vital for candidates to score above the ONGC Gujarat Cut off to scrape through to the next round of the recruitment selection process. If you score above the cut off marks specified by the organization, then your name will be enlisted in the merit list or the selected candidates’ list. But please note that this will be according to the ONGC category wise cut off marks. All those candidates who score above the cut off marks will be called for the next round of the recruitment. You will have to go to the exam centre of the next round and if you qualify in that stage as well, you will feature in the final list of the selected candidates. This is the ONGC Final Selected candidates list and we hope your name comes up there! Did you get good news about the ONGC Gujarat Recruitment 2019? If you did, then congratulations to you! If it wasn’t very positive news, then worry not, because we have an array of recruitment lined up for you @ GovtJobIndia.com. We, sincerely wish that this article about the ONGC Gujarat Results 2019 has been useful to all of you looking for this. You are welcome to put in any kind of doubts, suggestions or information in the comments section below.